Telecom | SoleNet, Inc. | Electronic Services, Board Design, FPGA Design, RF Design, Mechanical Design, Embedded Software, System Analysis. 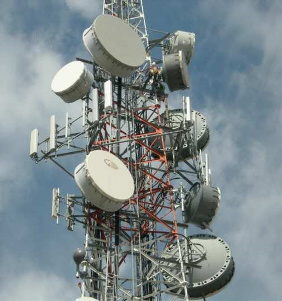 SoleNet engineers excel in their designs of carrier-class telecom equipment. Our designs have been tested and deployed in the field. To name some examples: M13 and STS-1 multiplexer designs for NEC eLuminant Technologies. We offer complete design solutions consisting of board, FPGA, software and mechanical development. You can benefit from our years of experience in the telecom industry throughout the product development cycle, from requirement definition to beta testing in the field. Cable Modem Infrastructure: Both head-end equipment and the consumer modems per DOCSIS, Euro-DOCSIS, DVB and Com21's proprietary ATM based system. SoleNet and the SoleNet logo are registered trademarks of SoleNet, Inc. All other trademarks mentioned are the sole property of their respective companies. This document and its contents are proprietary to SoleNet, Inc. This publication and its contents may not be reproduced or distributed for any other purpose without the written permission of SoleNet, Inc. Specifications and product availability are subject to change without notice.